The French affair continues and the Roberto Collina man is back as the protagonist on the pages of the coolest French magazine, Numéro with two wow high coefficient articles that carry the signature of exceptional photographers. 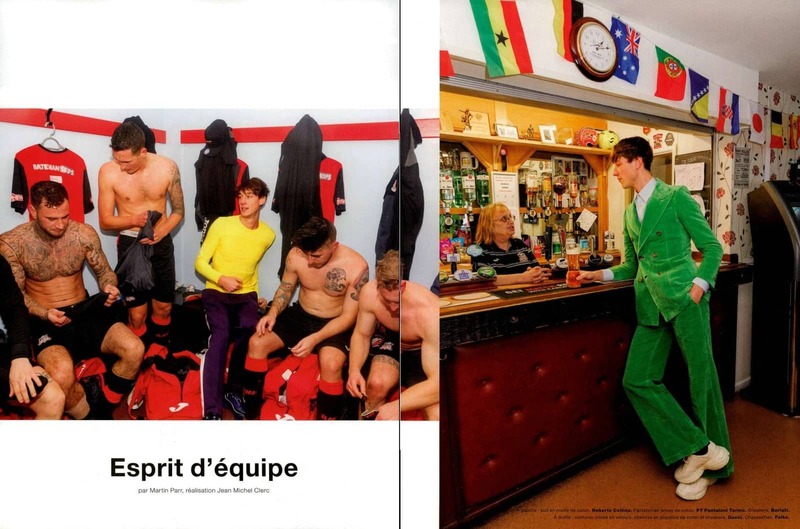 The tight, yellow sweater stands out in ”Esprit d’Equipe” according to Martin Parr: intense, strong… a winner! 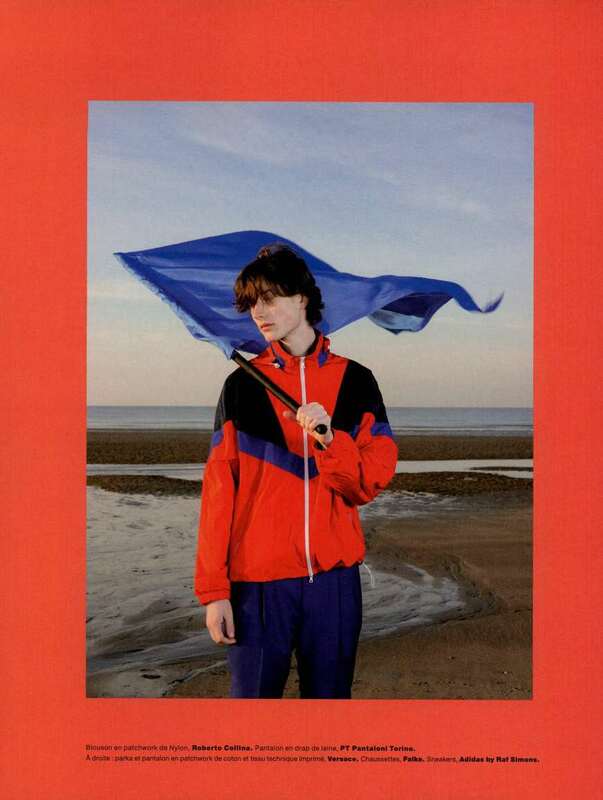 The nylon jacket with patchwork inserts is perfect all the time, not just for Charles Freger’s “Vent du Large”!